Sold in a pack of five. An excellent alternative to gluing hooks to fingernails. Stick-On™ Finger Hooks are fastened to adhesive wrap to hold rubber bands or outrigger lines for dynamic or static progressive splinting. 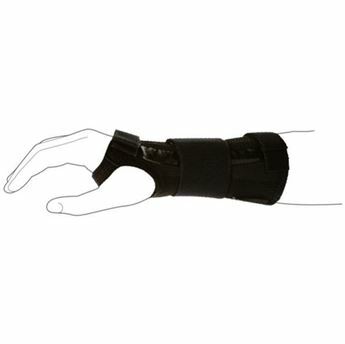 Flexible, breathable, water-resistant wrap adheres securely to fingertip while allowing free movement of the joint. Padding helps protect nails and fingertips. Adheres all day without adjustment or maceration. 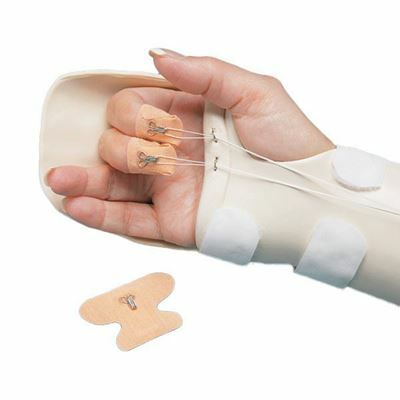 Can be removed and reattached up to four times. Latex free.